Watercolor Works: A New Masterpiece! 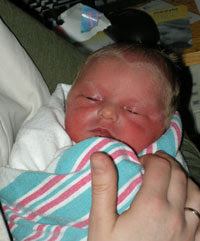 Announcing the latest masterpiece in our family: Lily, weighing 5 lbs, 10 oz and 18 inches tall. She arrived on St. Patricks day. 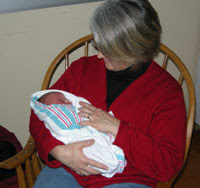 This is our first grandchild and she is beautiful. Mom and baby are both doing well and dad is truly proud! We are so happy.